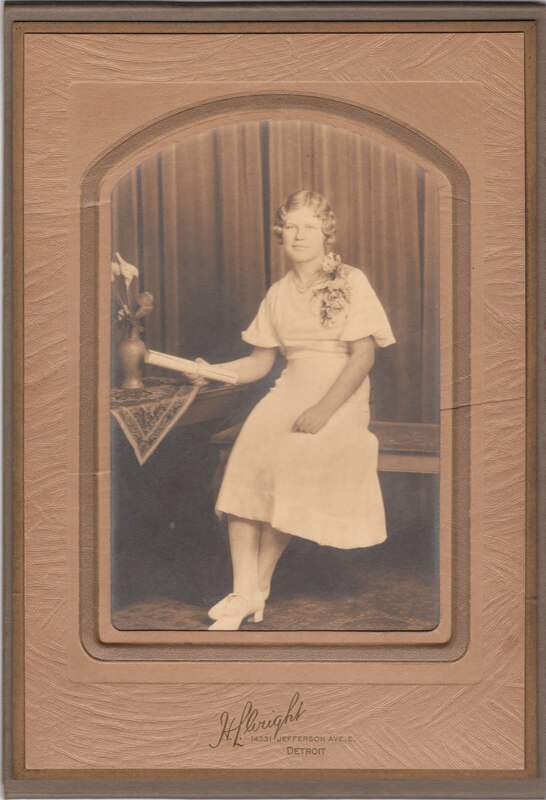 My Grandma at 13 at her confirmation, Spring 1933. I felt like I needed to do a little post to explain my unexpected absence from blogging these past few weeks. On Thanksgiving, my dear Grandma passed away. It was incredibly sad, but peaceful. We are all comforted by knowing she is in a better place and not in pain anymore. I know I have blogged about my wonderful Grandma before, sharing some of her vintage photos and I plan to continue; to remember her and honer her life. She was a huge part of my life and was my biggest vintage fan. She always loved to see the neat stuff I found at sales and thrift stores. I definitely inherited my love of a bargain and jewelry from her, thanks Grandma! She was so beautiful! It's sweet that you were able to share so much together and that you reminded her of her younger years. I can't wait to see more of her vintage pics! I'm so sorry to hear of your loss...how wonderful that you got to have such beautiful experiences with her, though. I know I treasure my memories of my beloved grandmother who passed when I was 19 and whenever I miss her so much it hurts, I remember how lucky I was to have had her in my life as such a strong, talented, and nurturing figure (many people I know never knew their grandmothers or had grandparents who were too frail or alzheimer's ridden to have a deeper personal connection). My thoughts are with you...though I know your beautiful grandmother will be with you always. Sorry to hear about your Grandmother's passing. What a lovely way to pay tribute to her life. I always enjoy hearing stories and seeing pictures about times gone by, so I look forward to your upcoming posts about your Grandmother's life! I'm so sorry for the loss of your dear grandmother. It sounds like you have many wonderful memories of times spend together and I hope those will be a comfort and a joy to you! I am sorry for your loss. That picture is beautiful. It looks like she is holding a diploma, was it her graduation? I'm looking forward to hearing more about yours.